With your time off, you can hike, shop and dine in the Big Sky area - or relax by the pool. 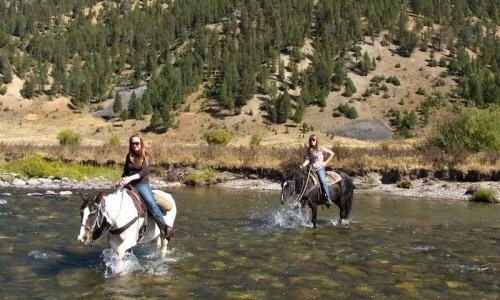 A two hour horseback ride brings you into the foothills of the Gallatin range of the Rocky Mountains. This ride gives you a wonderful view of the Gallatin Canyon and surrounding peaks. Your guide will stop twice for a family portrait or scenic photo. On this ride, you will experience the river, meadows, sage covered hills, forests, and mountains. 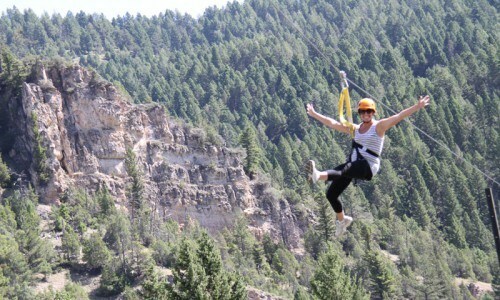 A fully guided zipline tour with 3 full zips and 3 sky bridges. Two of our zips cross the beautiful Gallatin River! This tour offers all of Yellowstone's highlights in a nutshell. Famous for it's waterfalls, wildlife, and geysers, this tour was created to give you a taste of it all. Start the day heading to geyser country with an experienced guide, stopping for wildlife, photography and a few guided walks before arriving at the tried and true Old Faithful. 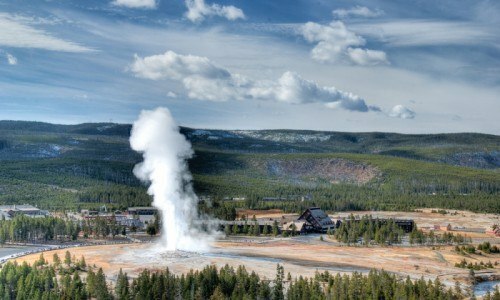 You'll have the opportunity to explore the Old Faithful area and have lunch before heading over the Continental Divide and on to Yellowstone Lake. From there, tour through the wildlife habitats of Hayden Valley as we approach the Grand Canyon of the Yellowstone. Explore the beautiful Upper and Lower Falls before a relaxing drive back to West Yellowstone. 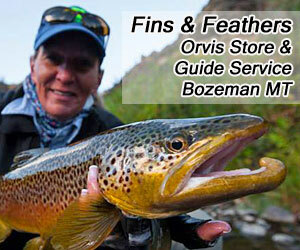 The classic half-day trip runs through the heart of the whitest water in the Yellowstone Area! 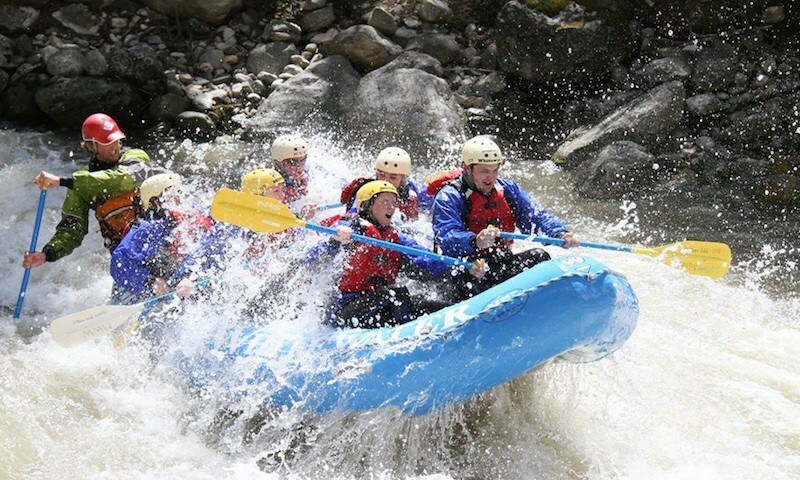 You will begin with some small rapids which progress in size until we drop into the lower canyon where we will run BIG rapids including House Rock and the continuous Mad Mile. The total time required for the trip is about 3 hours, including shuttling. 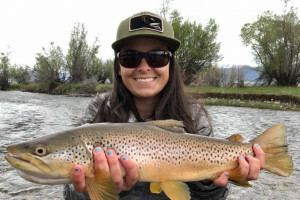 Montana Whitewater's office is located just minutes from the end of the trip - so you can get right back to change into dry clothes and get comfortable. These boats seat up to 6 rafters. Located in the heart of Big Sky's Mountain Village, this historic hotel is just steps from the base of Big Sky Resort. The Huntley Lodge features a concierge, restaurant, shops, and the Solace Spa. A pool is also nearby. 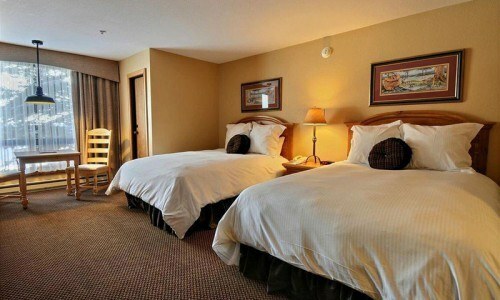 Each room comes equipped with two queen size Boyne Beds and many convenient amenities. Note that rooms do not have air conditioners. * Price is per person, based on double occupancy. Rates based on July and August travel. Package available mid May - September. Inquire about cheaper package prices during that time!